Keep it Beautiful Designs: Fabulous Friday: Wool vs. Synthetic? Fabulous Friday: Wool vs. Synthetic? Any plans for the weekend? We don't have any major plans which is really nice. We're looking forward to playing, getting things done around the house, maybe zipping up to the cottage and hanging out. Wool: Wool has been around for ages; in fact it is one of the oldest textile fibres out there. Wool is a natural fibre and dyes easily to create an endless range of colours. Persian and many Oriental rugs are made from wool and are extremely soft to the touch. 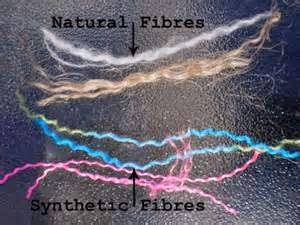 Synthetic: Synthetic fibres are machine made. With advances in technology, synthetic fibres can imitate wool fibres and gorgeous, detailed rugs can be made that were typically reserved for handmade wool rugs. This is a big one. Wool rugs are typically going to be more expensive. It’s the real deal. Each wool fibre has a three dimensional spiraling crimp which gives it natural elasticity. It essentially bounces back into place like a miniature spring which means wool will last for eons. Synthetic rugs, can look just as gorgeous, but have a much shorter lifespan. Where do you plan on laying your rug? How much traffic will it be getting? Do you need a rug inside your foyer or inside the door to the backyard? Or, are you looking for something in your master bedroom or living room? Wool rugs are soft and luxe, you may want to lay a synthetic rug in areas where traffic will be at an all-time high in your home and opt for the wool rug in bedrooms and living rooms. If you are a family with small children or pets, cleaning up stains are likely part of your everyday routine. However, how stains come out of rugs is an important thing to remember when deciding between wool or synthetic. Synthetic rugs are typically easier to clean as they come with various stain resistant options. For example, many synthetic rugs are made to repel stains using Teflon and other materials. If a spill goes unnoticed, it would leak into the wool and stain the fibres permanently; whereas it is likely the stain would come out of synthetic rug. Also, wool sheds, but don’t fret! This is a natural process that occurs in wool and the more you vacuum the rug, the less shedding will occur over time. As discussed, wool and synthetic rugs have different price points. It is common to have both types of rugs in your home to meet your needs. Splurging on a wool rug will not only give you a gorgeous rug but it will last. There is a reason that your grandmother has had the same rug in her living room for 40 years. It’s likely that they only used their living room for entertaining as well, the quality of the rug allowed it to be a permanent feature in the home. Synthetic rugs will not last as long as wool. However, with technology, synthetic rugs have greatly improved and can be a stunning way to make a room look oh-so-fabulous. 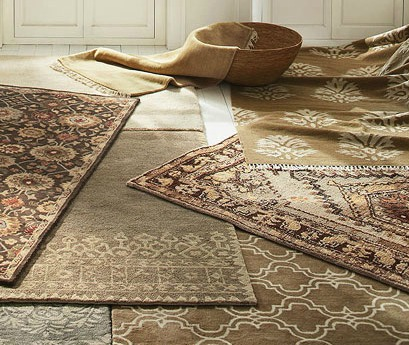 Synthetic rugs might not last the test of time but they will provide a significant impact in a room and if taken care of, will stick around for awhile. If you see a gorgeous rug , then sometimes it just has to come home with you. When looking at the rug think of traffic, budget, cleaning, lifespan but also how much you love it. Sometimes it comes down to knowing and loving the product. It might be that the soft feel and luxe look of the wool stands out to you, or that you are looking for a rug that you can change each season. Wool and synthetic fibres provide you with so many options to meet the lifestyle of your home and needs. In the end, the rug you choose will transform your space into something fresh.fabulous.sophisticated.